In the war with Islamic State, Syria’s Kurdish forces successfully fought back and extended their territories, most notably by capturing the strategic city of Raqqa and large swathes of Deir ez-Zor province. These territories, which encompass almost all of Syria’s oil reserves, provide the Kurds with valuable bargaining chips with the Syrian regime. Th Kurdish zone could potentially trade territory in return for recognition and preservation of the semi-autonomous region along the Syrian border with Turkey. What remains unclear is if Syria’s Kurds can defend these territories if the regime tries to retake them by force. There are political and territorial details that make this situation unique. 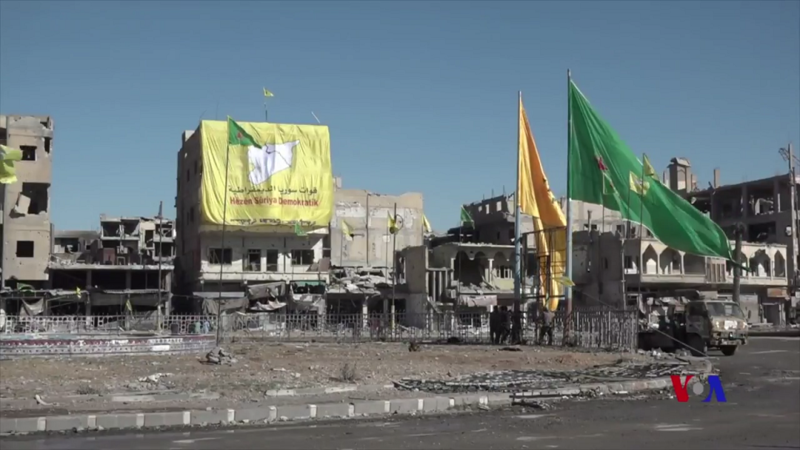 The Syrian regime insists that Raqqa — despite the Kurdish-led Syrian Democratic Forces’ successful ouster of Islamic State from there in October 2017 — remains an occupied city until the Syrian army returns. Similarly, the SDF’s rapid offensive against Islamic State in Deir ez-Zor province, and the seizure of its oil fields, is something Damascus would undoubtedly seek to reverse if given the opportunity. It may soon have that chance. The Islamic State is largely defeated following the Syrian army’s capture of Al-Bukamal on the border with Iraq in November 2017. Unlike Iraqi Kurdistan next door, nobody recognizes the federal system the Syrian Kurds established in their territories last year. When the Iraqi military seized Kirkuk from the Kurdish Peshmerga in mid-October, those troops were reentering a disputed territory in force, not Iraqi Kurdistan proper. This is because since 1992, with the creation of the Kurdistan Regional Government, Iraqi Kurdish autonomy in Erbil, Duhok, Halabja and Sulaimani provinces is universally recognized, while areas like Kirkuk have always been gray, to say the least, since their status was never resolved. Deir ez-Zor and Raqqa in Syria, on the other hand, are not disputed territories in the same sense, nor is Syrian Kurdistan’s autonomy legally recognized in Syria … or anywhere else. Thus, any regime push in these areas could ultimately result in it outright dismantling de facto Kurdish autonomy. In Iraq, however, the Iraqi government only sent its forces up to the Green Line that separates Kurdistan from the rest of Iraq. Nevertheless, Syria’s Kurdish militias have attempted to change the political structures of territories they have taken by force. In the Arab city of Manbij on the west bank of the Euphrates River, they have installed governing military councils, arguing that they are legitimate since local people support them. The SDF has established a military council for Deir ez-Zor and a civilian council for Raqqa. In Deir ez-Zor, the SDF’s military push against Islamic State coincided with a Russian-backed Syrian regime offensive in September. The SDF have territories in that province to the east bank of the Euphrates while the Syrian army is retaking territories to the west side. 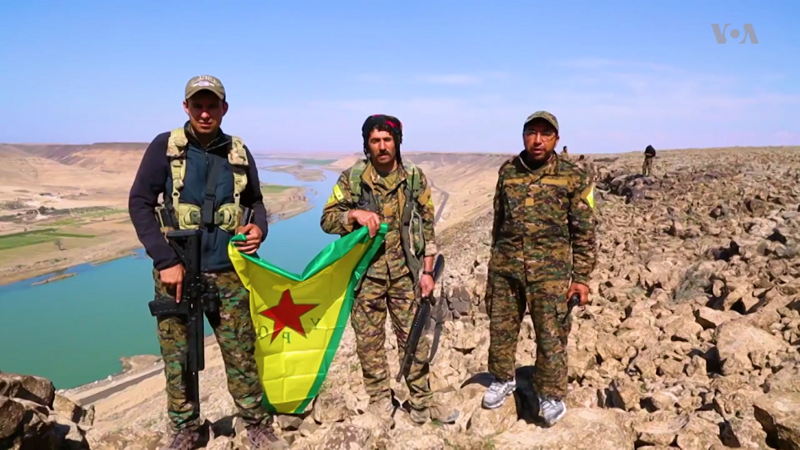 The SDF insists that the river should serve as a natural demarcation line that the regime should not cross. However, should Syrian Pres. Bashar Al Assad choose to force the SDF out of Deir ez-Zor, he certainly has the means to ferry his armor into position. The Syrian army possesses Russian-made mobile pontoon bridges suitable for the job. The SDF has barely a dozen tanks, but prior clashes with the Turkish army in northwest Syria indicate that the SDF possesses formidable anti-tank missiles. None of this means conflict is inevitable. Rather, the contrary may well prove true. The continued presence of American and Russian troops and warplanes in Syria could deter Damascus from launching a new military adventure against the Kurds. 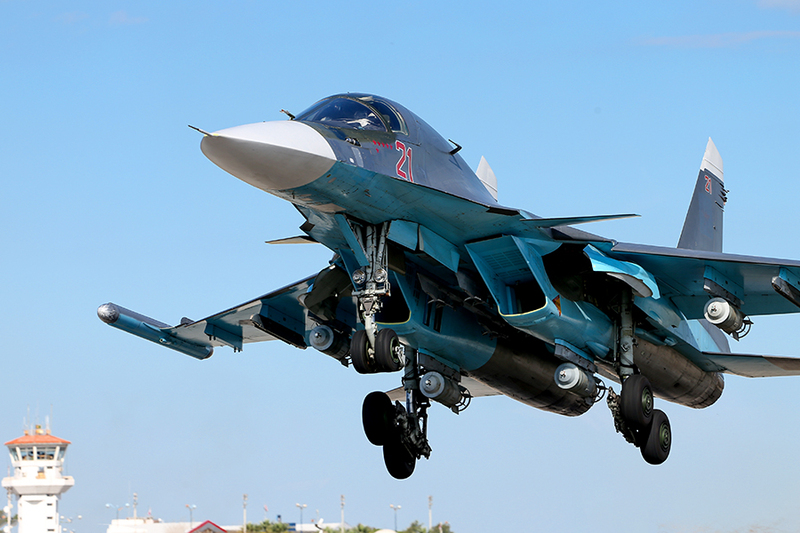 The Syrian government’s reliance on Russian diplomatic and military support could also act as a deterrent. The Kremlin has sought a speedy resolution to the conflict now that Assad’s forces are firmly entrenched and control most of the country once again. Russia has also, so far, shown no desire to see the regime move into Syrian Kurdistan to destroy the SDF. Furthermore, without the support of Russian air power, Damascus may find it much harder to subdue the SDF’s battle-hardened fighters. “Considering Russian efforts to minimize military confrontation between opposition groups and the regime it would be right to conclude that Russia wouldn’t favor armed confrontation between the SDF and Syrian army,” Timur Akhmetov, an analyst and researcher at the Russian International Affairs Council told War Is Boring. Akhmetov does not foresee a regime move into either Raqqa or the Deir ez-Zor oil fields. “There are too many unknowns, like to what extent the U.S. is ready to commit to the Kurdish cause, and Russia seems to want to turn the process with the Kurds into a purely political tradeoff,” he concluded. There are also mixed messages coming from Washington. The United States will soon cease arming Kurdish fighters in Syria, according to the Turkish Foreign Ministry, probably because the war with Islamic State is essentially over — for now. At the same time, Washington is reportedly aiming to keep an open-ended military presence in Syria following Islamic State’s military defeat, which will likely include retaining a troop presence, an estimated 2,000-strong force supported by U.S.-built airfields built in their area of operations. However, were the Syrian army to assault the SDF, it may stop short of attempting to subdue all of Rojava while U.S. forces remain present in these territories. Together, this indicates that Syrian Kurdish forces have substantial leverage to retain its territories short of direct conflict with Damascus.